Bargains galore on the final day of the book sale. Fill a bag of books for only $10! 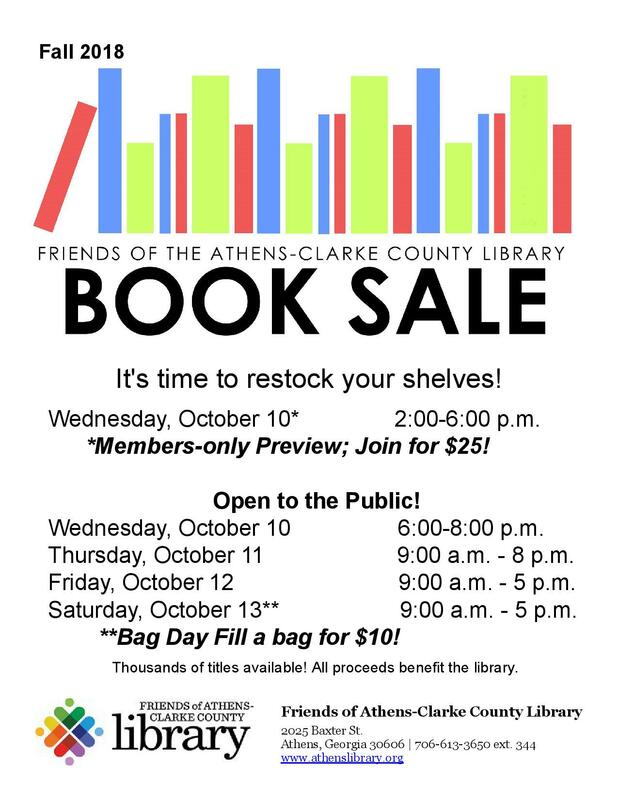 All proceeds benefit the Athens-Clarke County Library.